Since their inaugural year in 2018, our Club Ambassadors have established themselves as gracious advocates of our sport and club through their running knowledge (of races, training, and more), good spirit, generosity of time, and leadership. They are here to guide, encourage, invite others to join us, and help spread the love of the San Francisco Road Runners in this wonderful city of ours. Comfort for new/perspective members or visiting runners that someone else is here to help. Every Saturday, our ambassadors keep an eye out for our guests and new/perspective members to help find them the right pace group and feel at home in our warm and welcoming community. Encouragement to others by offering a listening ear and sharing insights about our club and resources available to members to help meet their running goals. A bit of fun and good will for others. With Aude leading the effort, 2019 is our inaugural year for our "running" book club. Once a quarter or so, we’ll have a different book to read. The first book was “Endure: Mind, Body, and the Curiously Elastic Limits of Human Performance”. 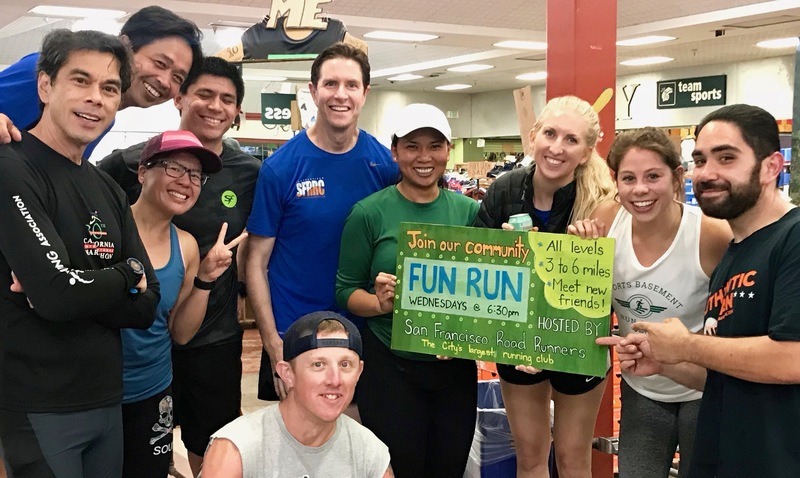 Thanks to our Ambassadors, starting in 2018, SFRRC began leading Presidio Sports Basement's Fun Run on Wednesdays at 6:30 pm in the Summer (June, July and August). If you're looking for a relaxed and fun mid-week run through the Presidio trails, occasionally Lyon Street stairs, or to Hopper's Hands, come join us. Sports Basement has refreshments and other food/snacks at the end. Starting in 2018, SFRRC has been supporting Sports Basement Presidio in leading the fun run portion of their annual Get Fit Fest event. The event encourages runners to stay motivated for the year and helps fill up their yearly race calendar through this annual discounted race registration event. We began our running movie nights in 2018 showing "Boston: The Documentary", "The Spirit of the Marathon", and "The Spirit of the Marathon II: Rome." Running movie nights return in 2019 thanks to our prior ambassador Alejandra. …. And more to come. We hope you'll come run with us soon! Shagun joined the San Francisco Road Runners Club in 2012, with the aim to train for and run her first marathon, which she did in 2013. She has since run four marathons and several half marathons, and plans to do many more. SFRRC has provided her the opportunity to train harder and smarter than she would have on her own, run longer than she would have ever imagined, and make friends that she would have never met. 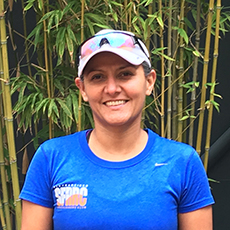 Shagun loves the camaraderie of SFRRC and running in our beautiful city of San Francisco. Aude joined SFRRC in July 2018 after seeing how much fun everyone was having at the track doing Yasso’s for July 4th. Aude got into running first as a "social time" to catch up with friends (and stay away from writing her dissertation). 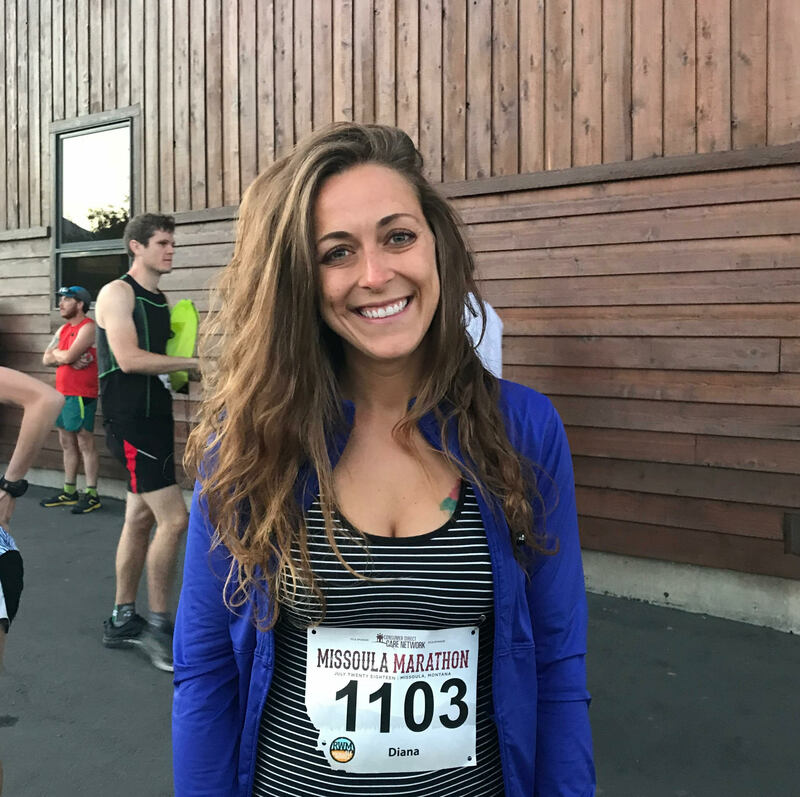 She got hooked after running her first marathon in Big Sur in 2016. She enjoys the ability to push herself, get stronger and faster while having fun and being part of a strong and supportive community. Back in elementary and middle school, George despised running. He would almost always place last during sprinting events at field day and thought running was simply not his thing. Come around to high school, George decided to join track and field as a way to get out of Gym class (so he could come in later every morning and sleep in), but he soon realized that it wasn't that running was meant for him, he was a much better long distance runner than he was at shorter distances. He stopped running track after high school, but continued running in college to burn off those beer calories. George recently moved to San Francisco in the summer of 2017. 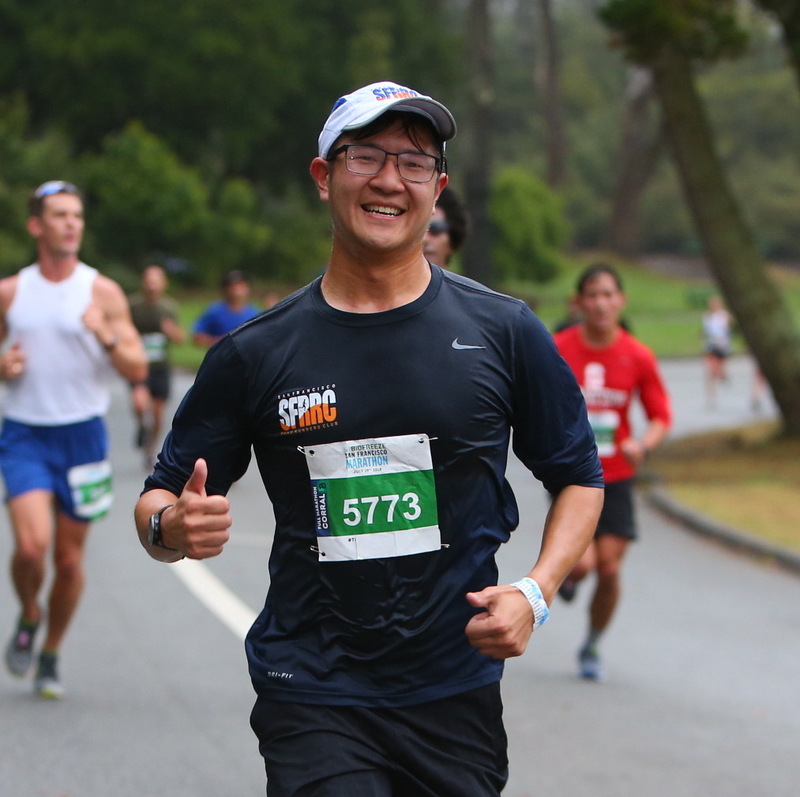 Running a marathon was always on George's bucket list, so he decided to pick up running again immediately after he moved to the Bay. Since then, he has crossed off his bucket list item with two full marathons with more races planned in the coming months. 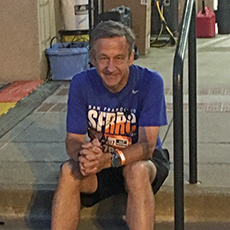 George is now absolutely HOOKED with running, and hopes to share his passion for running with other SFRRC members. His current goal is to qualify for Boston! After trying unsuccessfully to lose those “last 5 pounds” Michael reluctantly took up running. One mile in, he thought there was no way he could keep it up. Keep it up he did and he trained for his first half marathon on a treadmill. Realizing there had to be a better way, he succumbed to friends’ prodding and tried out SFRRC at the January 2011 kickoff. He’s been hooked ever since! Many half marathons and some marathons later, Michael looks forward to Saturday morning runs and Tuesday track sessions. The support and camaraderie is invaluable and all the friendships are priceless. Lynne has always been quite active playing tennis, badminton, spin, yoga, step aerobics and swimming. After being diagnosed with breast cancer in 2012 she was depressed and realized she needed to do something about it and started running as it helped clear her head and feel a lot better. In 2015 she started to run seriously and joined SFRRC. And serious she did get by doing 31 marathons and 35 half marathons so far. Some of Lynne's proud achievements include reaching the hall of fame in the Rock n Roll marathon series in 2015 and 2016, completing all 6 Abbott World marathon majors and all 7 continents half, reaching titanium level in marathon maniacs in 2017, and finishing a marathon in all 7 continents in 2018. In 2019 her goal is to finish the 7 continents ultra and 50 states half and full. Lynne says, “SFRRC inspires me to overcome my fears and turn them into a powerful force to do what I want to accomplish, specially after my devastating diagnosis. And through the club’s help and support, I was given a second chance in life.” Lynne hopes to encourage other runners that there is life after cancer or other debilitating diseases, that you’re not alone, and have what it takes to be a marathoner. 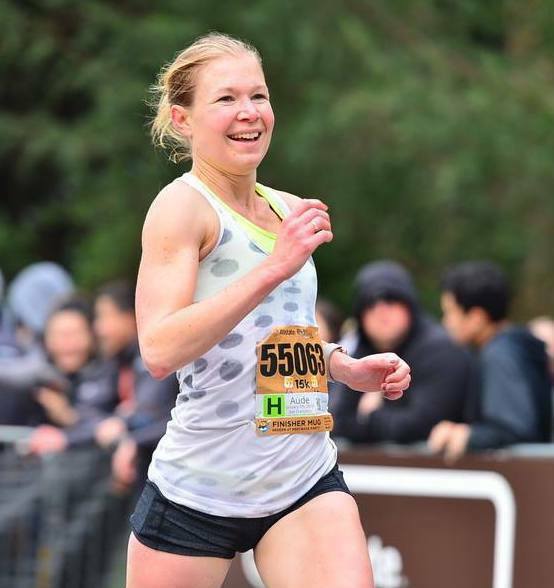 Christine ran her first race in 2013, a half marathon, having only trained up to 6 miles. Despite being under trained and making multiple rookie mistakes, she finished the race feeling proud and empowered. She was hooked by the race day adrenaline and was eager to do it again. Since then, she has run over 10 half marathons and 7 full marathons. Now in her third year with SFRRC, she loves the camaraderie of Saturday long runs and the friendly competitiveness at the track on Tuesdays. With the help of the club, she has become a stronger runner and is excited to be chasing some big goals this coming year. 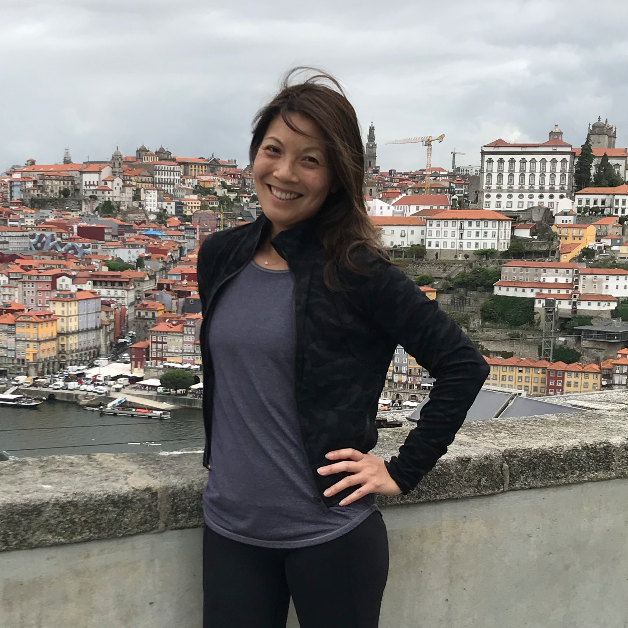 Lisa joined the San Francisco Road Runners Club in 2006 when she relocated to San Francisco from Toronto as she wanted to continue running with a club, training for races and learning SF running routes. 19 marathons later, numerous other running races, 3 full Ironmans and many 70.3 races later, Lisa is still excited about showing up for a group run and being inspired thru sharing our running experiences. She says “I’m not as fast as I used to be but am encouraged by our coaching staff that it will come. I love the accountability of running with a club!” She also thinks she needs to find another marathon to make it 20 in 2019! From early childhood, Kirsten cheered her dad on during his marathons and watched her mom call him crazy. The craziness was contagious and despite best efforts to become a soccer player, it lead Kirsten to pursue running in high school track and cross country. The addiction continued into college with cautious experimentation with half marathons, and eventually (and even more cautiously) running full marathons. Kirsten's favorite part of running is that is it naturally inclusive; anyone can use running for any purpose, which makes it the perfect sport to make connections with people you might never get the chance to meet. You don't need any fancy equipment (other than the sweet running shoes we all obsess over); running is just about what your body can do. SFRRC embodies this inclusivity and diversity, and helps introduce the simplicity and joy of running to more athletes. 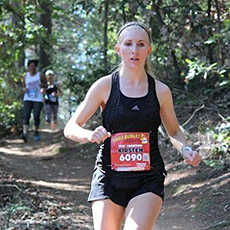 Kirsten looks forward to continuing to pass on the crazy, and use running as an escape, the perfect balance of zen and power. Joyce ran cross country in high school and after taking many, many, many years off, decided to start running again in 2014 mainly for exercise and with the goal to run her first half marathon (yes, just one). 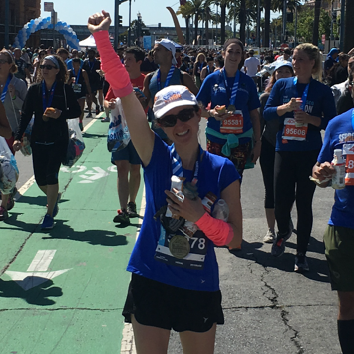 After running the 2014 San Jose RnR half and finishing in 2:06 in 90 degree heat, she thought, “I could have run that faster if it had not been so hot.” So, she continued to sign up for races to keep motivated and do a sub 2-hour half marathon, which she did at the 2016 Big Sur half. Wanting to break 1:50 and not sure how to train, she knew she wanted to join a club. After being unsuccessful in finding the right club for a year, she came across SFRRC on Facebook and joined us for the 2017 kick-off at Sports Basement. After the run (and breakfast), she knew SFRRC was the right club for her and joined the same day. 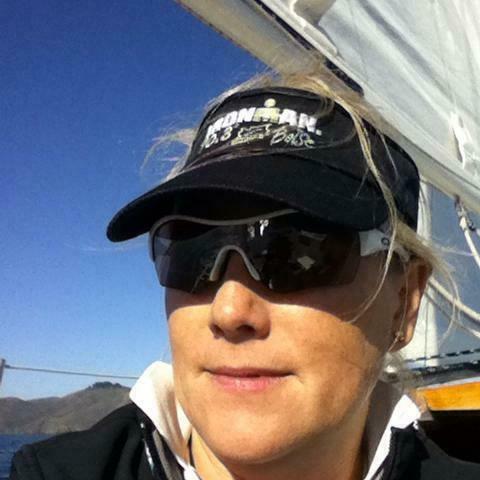 Joyce says “I continue to run with SFRRC because the club is welcoming, inclusive and offers something for everyone. 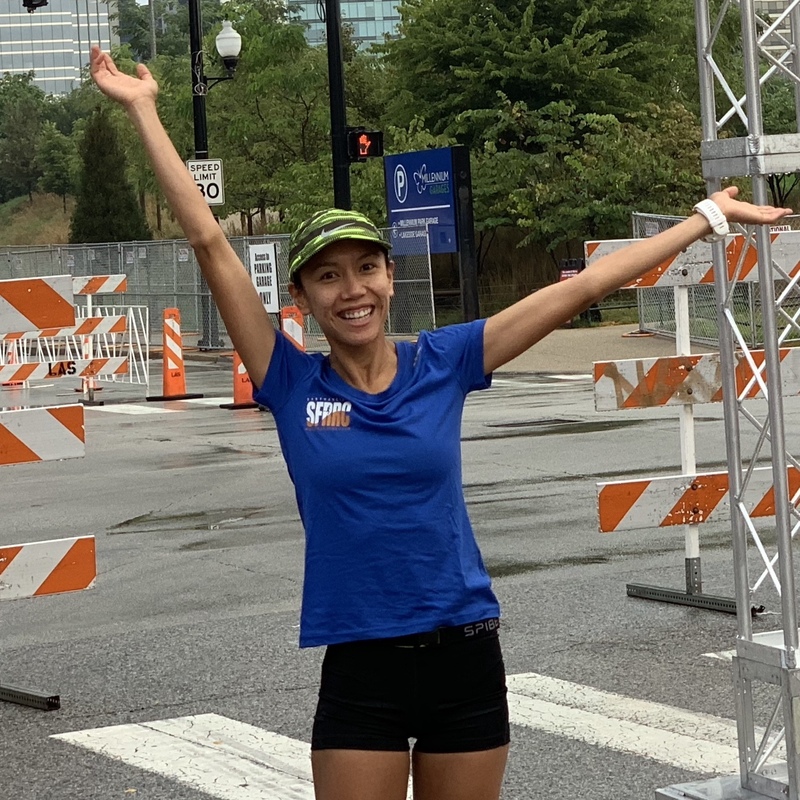 It does not matter the speed at which we run, there is always a team of runners standing by to cheer us on and to motivate one another to strive for our best.” She continues to get faster in her half marathons (2018 Oakland PR) and in 2019 will be running her first marathon in Berlin.